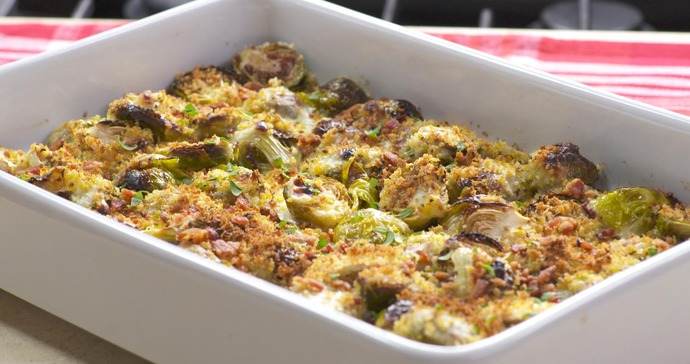 These roasted brussel sprouts with creamy parmesan sauce are sure to be a hit at your next dinner party. Get the recipe in this episode of Best Bites! More fall recipes we love!